We also provide shuttle to and from the Buffalo and Syracuse airports. When you’re looking for a taxi cab, we realized that you need to be on time. You also need a reasonable rate and a safe driver you can count on. We enjoy building a relationship with our customers who can count on us for their transportation needs time and time again. Our Cab service is always on time, fast and clean. Our drivers are courteous with 18 years of experience and offer friendly Airport Taxi Service. Serving throughout the Rochester Metro areas & beyond, we are your source for all your Airport Shuttle needs. Offering unbeatable prices in the areas, our Taxi services also include Airport Pick ups & Drop offs in a safe and comfortable manner. When you want to run an errand in the city but want to avoid the hassle of finding a parking space for your vehicle, call for a Airport Taxi. Our drivers travel at a safe speed and find the least congested routes. These professionals share their knowledge of the city and make running errands or traveling a breeze. Our Taxi & Cab Company Services Rochester and surrounding cities, and are proud to say that we always have guaranteed booking. Our main concern is that you reach your destination on time every time you travel with us. Call us in the early morning and until midnight; Airport Taxi Transportation available to our clients. We accept credit cards. 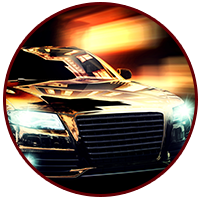 Airport Taxi Service has 24/7 reliable taxi service that you can depend on. Whether you need a ride to the airport, or a pickup from the airport, our taxis will take you to wherever needed. Vans are also available. There is no reason to miss your flight because of a poorly timed taci cab ride. 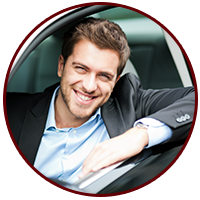 At Airport Taxi Rochester, NY, we care about making your trip to the airport comfortable and efficient. In business for more than 15 years, all of our drivers are very knowledgeable about the roadways in Rochester, New York and the surrounding cities. Whether we are picking you up or dropping you off, our drivers always choose a route that avoids heavy traffic areas to make sure that you arrive at your destination in a timely manner. In fact, our hard work was recognized in 2010 when we were named "The Highest Rated Cab Company in New York State" by the Yellow Pages™. From our clean and well-maintained vehicles to our punctual and courteous staff, we guarantee a pleasant beginning or ending to your journey.